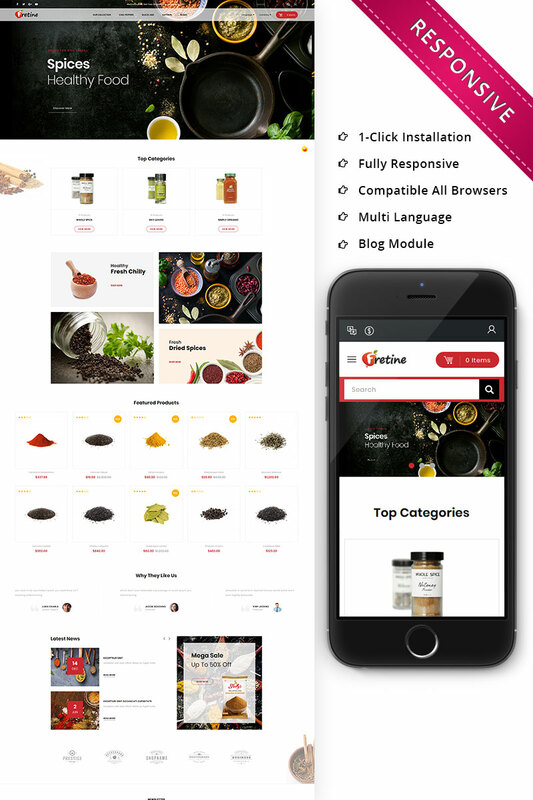 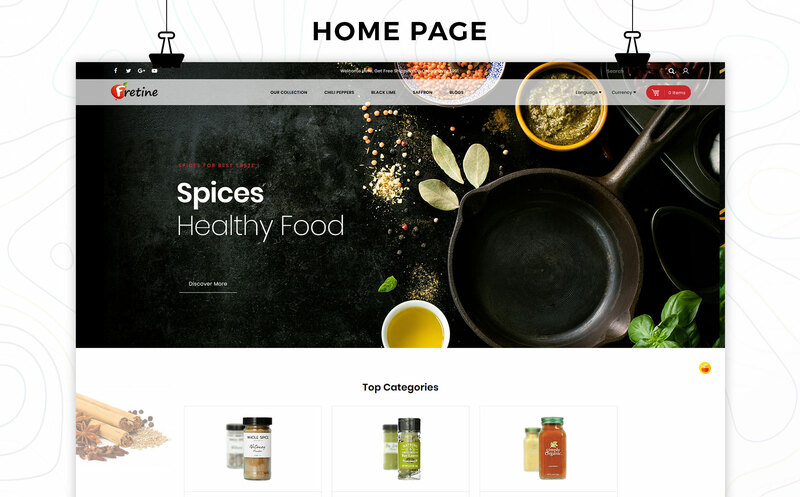 Fretine Spices Ecommerce template built in Opencart framework which is fully responsive and fit into any media devices. 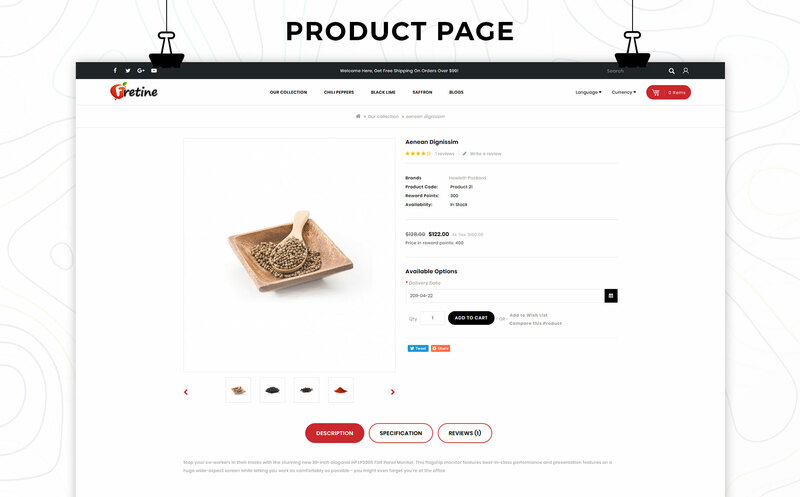 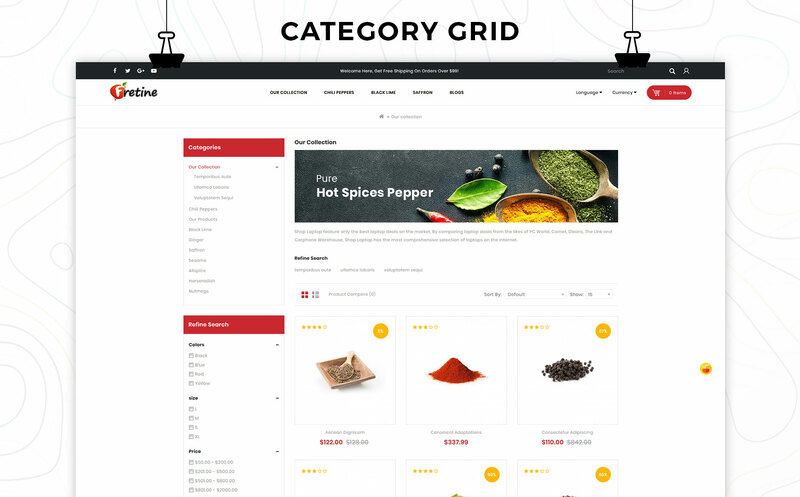 It is Modern, Clean and Professional site template that is perfect for grocery store, Bakery, Cafe, Bar, Catering, food business. 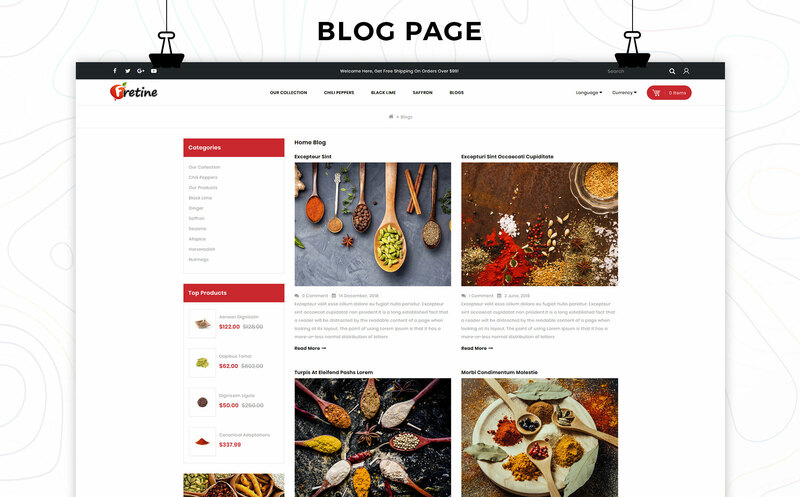 Template using advanced Bootstrap 4 Framework with HTML5/CSS3. 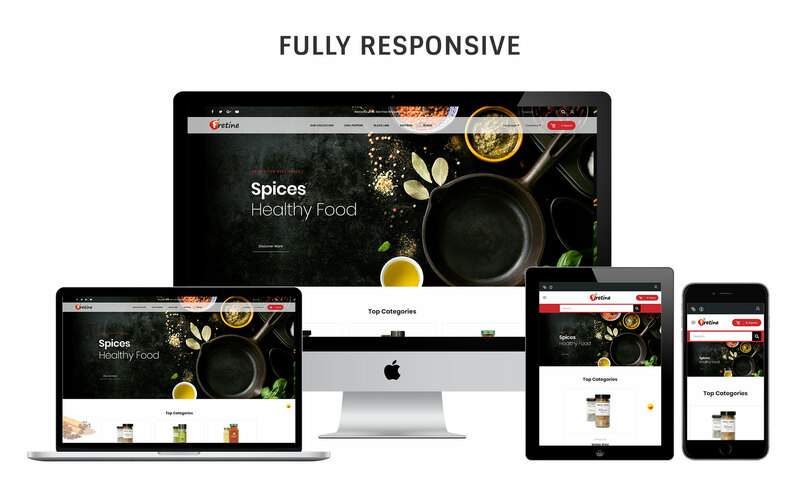 It has clean and clear code highly customizable â€“ looks awesome on tablets and mobile devices.